Technical indicators abound in the trading world, and while they all have their proven advantages, none works for every trading style or in every market. With so many to choose from, trying to find the best ones for your needs can be a bit overwhelming. 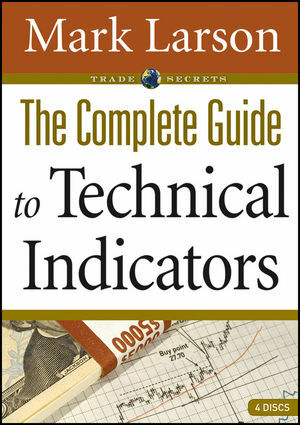 Not anymore: This DVD/Online course provides you with comprehensive coverage of all technical indicators currently in use. But that’s only half the story. Bestselling author and financial educator, Mark Larson, doesn’t just describe the indicators—he shows you how to find and use the perfect ones for your trading style and goals. If you use technical indicators already, Mark shows you new ways use and combine them to sharpen the accuracy of your trades. If you are eager to learn about them, he provides you everything you need to get off to a flying start using and profiting from these powerful tools. Mark Larson is a seasoned trader, weekly writer for Incometrader.com, and educator who has been actively trading the markets since 1998. His courses on technical analysis and the use of technical indicators are sought after by many traders. His simple trading skills have helped thousands of investors of all types make money during an up, down, or sideways market. His best selling DVD courses include The Complete Guide to Technical Indicators, 12 Simple Indicators That Really Work, and his best selling books include Technical Charting for Profits and Trade Stocks Online. With the use of technical indicators, Mark was able to warn investors of the last bear market correction that occurred in 2000, and again warns investors to be careful of the next up and coming correction. One of Mark's coined phrases has always been that the key to success is knowing when to buy and when to sell, which can only be done with the use of technical indicators. Mark is the founder of Rolling Along Investments and an instructor for Investools. He travels throughout the country teaching others how to become independent investors by using both technical indicators and options. He attributes most of his skills and success to his very successful mentors Mike D. Coval and Stacy G. Acevedo.